Living Fit! A Joint Effort™ is a program that helps young people with hemophilia A get active and live fit. Fitness and healthy eating are especially important to people with hemophilia because strong muscles and a lower body weight may help improve and maintain joint health. We go to great pains to avoid cross-contamination, and use only packaging that meets FDA standards for food safety. To use vitamin and mineral supplements or not to use them – it’s a question of special concern to people with hemophilia. Nutritional imbalances can interfere with the blood clotting process under normal circumstances, so individuals with hemophilia should be particularly cautious. For instance, a high intake of omega-3 polyunsaturated fatty acids may have increased risk of bleeding. Vitamin E can act as an anticoagulant and may increase the risk of bleeding problems. This is especially relevant with excessive intake of Vitamin E, usually from high-dose supplements of greater than 1000 IU/day. Unlike drugs and food additives (which must undergo clinical studies before being approved and allowed on the market) dietary supplements are not required to be tested for safety. Effectiveness may vary, and there is often no scientific proof that the supplement can even live up to the claims made. Labeling is not standardized, so the active ingredient, dose, side effects, or drug interactions may not be listed on the supplement package. 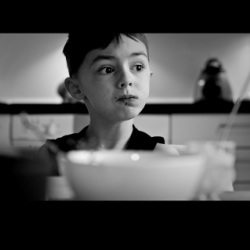 For individuals with hemophilia who choose to use an iron supplement, be sure to read the labels and select a supplement that lists the source of iron as ferrous sulfate or ferrous gluconate, rather than ferric iron, as these are better absorbed. 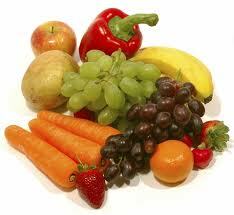 Consume fruits and vegetable – foods rich in vitamin C to enhance the body's ability to absorb iron. Foods rich in vitamin K can help platelets function properly. 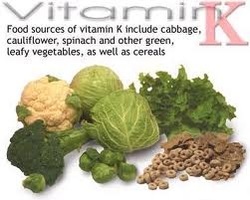 Vitamin K plays an essential role in platelet function and blood coagulation, helping to regulate the enzymes required for blood clot formation. The Linus Pauling Institute at Oregon State University explains that vitamin K helps activate seven proteins involved in the clotting cascade. Foods rich in vitamin K include leafy greens like lettuce and parsley, olive, soybean and canola oils as well as cruciferous vegetables like broccoli, kale and Swiss chard. The USDA recommends eating plenty of grains, fruits, and vegetables, eating a diet low in fats, sugar, salt (sodium), and cholesterol. Balancing food intake with physical activity helps in the maintenance of an optimal body weight. Increased weight strains your joints and muscles, and can lead to further complications, including increased bleeds in susceptible joints. Vitamin K, Calcium, Magnesium, Vitamin C, and Vitamin B complex are all essential for normal blood coagulation, formation, and clotting. We suggest a high quality whole food supplement, like VITAFORCE™ that is complete and made from whole foods. Juicing is also very important for Hemophilia because it is likened to a blood transfusion. Carrots, beet greens and beets juiced together have all the necessary nutrient components to increase hemoglobin and red blood cell count. Also juice dark green, leafy vegetables (i.e. kale, spinach, parsley, dandelion greens, etc.). Note: www.HemophiliaPrince.com does not recommend a particular treatment for specific individuals and recommends that you consult your treatment center or physician before pursuing any course of treatment. Consult with your physician before taking any dietary supplements.